I’m not sure why exactly I decided to revisit Caron En Avion after so many years, but it might have been inspired by my reading of Miklós Bánffy’s The Transylvanian Trilogy. An epic novel set in the Austro-Hungarian Empire just before the First World War, it paints the vanished world of the Hungarian aristocracy, the era that was quickly coming to a close. There is something equally poignant and nostalgic about En Avion, a perfume created by Caron’s owner Ernest Daltroff in 1932, just a year before Count Bánffy started writing his masterpiece. 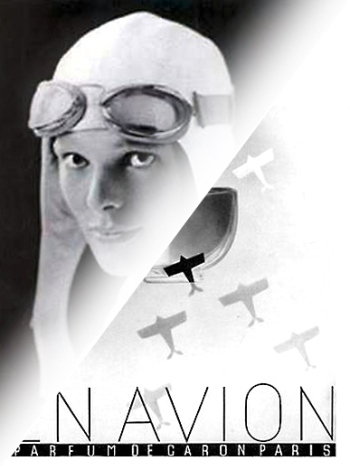 En Avion, as the name suggests, was inspired by the first pilot women such as Helen Boucher and Amelia Earhart. It was a luminous but dark orange, dipped in the sweetness of jasmine and the incense-like warmth of opoponax. It was spicy but also cool and mossy. The kind of fragrance that could only have been the product of Daltroff’s eccentric pairings and the era’s penchant for perfumes thick as fur coats. En Avion has not avoided the specter of reformulations, but the way it smells today has all of the splendid, rich and nostalgic appeal of vintage perfumes. With so many niche lines aping this kind of lush character–and coming out mostly with dull pastiches, here we have an authentic scent of another world. There is no mistaking it for something modern. Today En Avion is richer in carnation than it used to be. This is a happy change for me, because I love this old-fashioned note, but if you knew En Avion as it used to be, then you may disagree. The carnations linger for hours on your skin, and while the perfume changes gradually from a spicy floral to a dark, worn-out leather jacket (with lots of moss and earth woods), the initial spark lightens things up. The orange is there as well, but it’s now more muted. You find it under the dark petals and moss, dry and reminiscent of pomanders forgotten after a Christmas party. There is also a hint of sweet violet, like a smear of someone’s red lipstick on the cheek. These little details make En Avion fascinating to wear, although they are best preserved in the extrait de parfum than in the sour, aggressive Eau de Parfum. The two versions are so different that I have difficulty seeing them as stemming from the same idea. If you have never tried En Avion, don’t spoil your first impression and go for the extrait. Yes, En Avion is old-fashioned, perhaps more so than other Caron classics. If you’re new to this house, I’d recommend to start with something else, like Parfum Sacré, Bellodgia, Or et Noir or Nuit de Noël. But if you have a taste for grand storytelling, then En Avion will be an interesting discovery. Much like The Transylvanian Trilogy. Which perfumes smell of another era to you? Michaela: Not much to comment as I know almost nothing of Caron. Except Pour un Homme masterpiece. But I love this post, the description, the picture and the unexpected association with the lost times of Hungarian aristocracy. Victoria: I was reading so much about the history of the region, and one of the books recommended The Transylvanian Trilogy. It turned out to be such a great discovery. I’m still halfway through it (it’s a 3 volume book), and I’m enjoying it. Cornelia Blimber: I never heard of Miklós Bánnfy, it is on my list now, thank you! There is a Dutch translation of Part I.
Perfumes of another era? I have some Scandal (Lanvin) left. and drops of Weil’s Zibeline and Antilope. But they don’t exist anymore. The vintage L’Heure Bleue has an old fashion feeling for me, in an exquisite way. Cornelia Blimber: Thank you! I googled and found Gregor von Rezzori, The Snow of yesteryear. I will read the german edition, Blumen im Schnee; my German is much better than my English. Victoria: It was written in German, so it would probably be even better. Lynley: I haven’t tried En Avion as I’d heard it had been mutilated in reformulation, but will try the extrait if I come across it. I have the parfum versions of Nuit de Noel and Narcisse Noir, and especially love Narcisse Noir’s old school glamour- it’s my Miss Havisham perfume. The Deco bottles are gorgeous too. Victoria: Some Carons have been reformulated worse than others, but I think that they also have been making changes all along. I smelled Tabac Blond at the boutique not long ago, and I was surprised that I liked it much more now. It was the extrait de parfum, so maybe they tweaked it again. Notturno7: Dear V, you’re such a good writer and I hope you do write a book one day! When I want to escape from the world, at the end of a long work day, I love finding these old threads, learning about perfumes I never tried and reading your wonderful reviews and book recommendations. You mentioned here that you tried Tabac Blond extrait in 2014 at the boutique and that you liked it. 😃! You wrote the unfavorable review of re formulated Tabac Blond few years before, so this gave me some hope. Have you tried TB extrait since? I never tried En Avion or Tabac Blond but I love old Carons. I treasure my vintage Bellodgia, Narcisse Noir and Nuit de Noel extraits and the feel of another era. It’s almost like time travel. There’s no Caron boutique close to where I live, but when I travel, I’d love to try En Avion and Tabac Blond extraits. It’s so nice to hear that you liked that Tabac Blond extrait, even in the reformulated version in 2014. Aurora: I proudly own En Avion extrait – a sample from the Caron boutique; it’s a wonderful idea to give it some well deserved love as it flies very much under the radar (which is apt with this name). Your review of it is beautiful. I find that the Caron House perfumes drydown smell especially of another era (probably even more so pre-reformulation) much more so than most Guerlains. Gentiana: I have now more reasons to revisit En Avion… As I live in Transsylvania… and I have a deep respect for the Banffy family. I didn’t read the book, but I know much about the history depicted there and, yes, it is something to fill one’s heart with nostalgy. Victoria: That’s exactly the image I get when I wear this perfume! 🙂 You described it so precisely. Annette Reynolds: It’s funny, Victoria, but I’ve just recently tested “En Avion (extrait)” and fallen in love with it. Unfortunately, the fragrance seemed to last only a very short time on my skin, and so I added it to my “Love This” list, but didn’t think about buying a full bottle. I’m wondering, now, that if I spray it on (the way I usually do with all my other full bottles) it would be a much better-lasting perfume for me. Annette Reynolds: It’s about an hour later now and I can barely smell it on my hand, while I can still smell the French Cancan and the Farnesiana (all of which I tested at the same time this morning). I love the carnation in En Avion, along with the opoponax. Since I already own Les Nereides’ Opoponax (which is very different from the En Avion) I was hoping En Avion would eventually work for me, as something spicier. Hannah: Does part of it take place on a train? I read a novel by a Hungarian author that opens on a train but I didn’t get very far. I’ve been trying to remember what it’s called but I sold the book and I don’t remember enough to Google. Victoria: Yes, I still hope to visit Syria someday. Marilyn Stanonis: Victoria, yes, I loved Fermor’s books but haven’t read them for years. A perfect complement to the Transylvanian Trilogy. Thank you for reminding me! Years ago, when you just started your blog your writing made me want to know about the Caron fragrances. There were many kind people arranging splits, and so I bought huge huge huge amount of En Avion, Poivre, and Or et Noir. 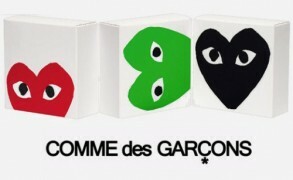 I only wish I bought Tabac Blonde and NN too. The En Avion have is so perfect-it’s almost oily (extrait). there is loads of orange blossom, violet, opopanox-everything you describe is there, and it’s thick and dense and wonderful. A dab last all day on me. My goodness, “an authentic scent of another world”, carnation, “worn-out leather jacket” and “sweet violet, like a smear of someone’s red lipstick on the cheek” – these are some of my favourite perfume notes and qualities. I think I’ll have to try the extrait. Yes, the Grossmith one. I first received a tiny 5 ml bottle of it from a classmate as a Christmas present back in about 1972, when I was aged 10 or 11, and it was the richest, most exotic fragrance that I owned at the time. Then, two years ago, having not smelled it for at least 35 years, I found a bottle on eBay and bought it. The bottle was the same as the one that I’d been given as a child, except that it was a larger, 15 ml version. It has a red cap and a label with a painting of a beautiful Indian woman in a pink and red dress and bare feet, dancing wildly as an Indian man in a white turban sits watching. Victoria: It’s the same part I love very much in these perfumes, and I also enjoy that they don’t reach there too quickly, but they take you on a journey. Gentiana: I forgot to mention, Nuit de Noel and N’Aimez QUw Moi are in my personal top 10… I own N’A Q M in extrait and is so nostalgic! 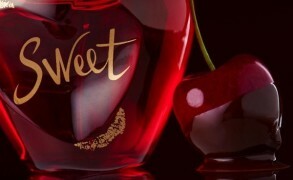 And N d N is the most warm and velvety olfactory experience!